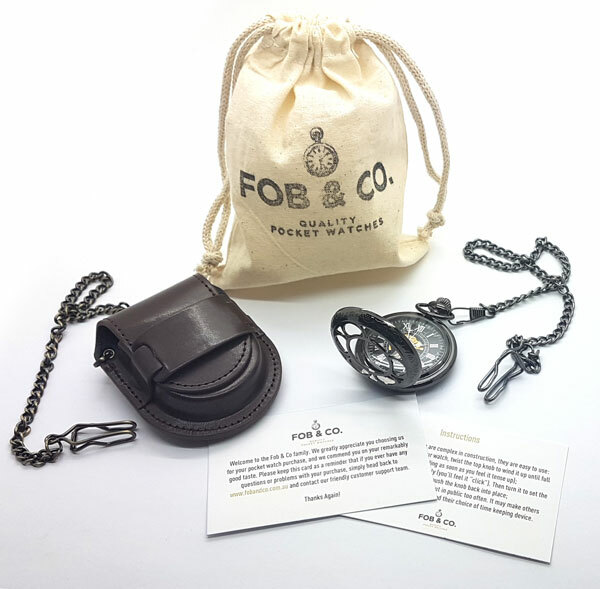 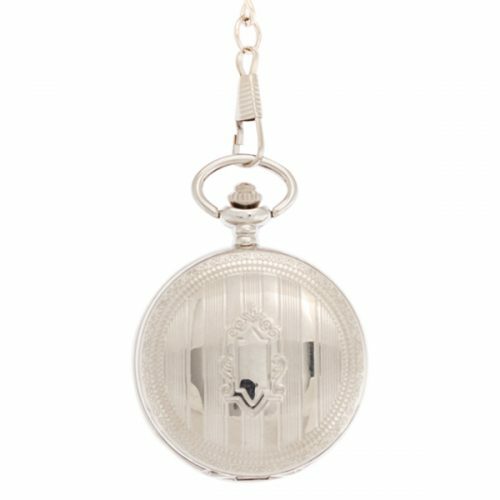 Frosty Striped Hunter Pocket Watch - Fob & Co. 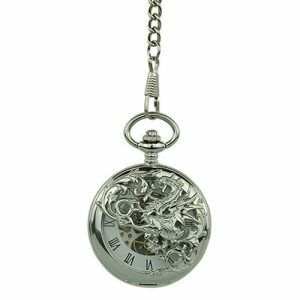 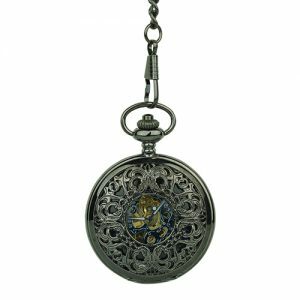 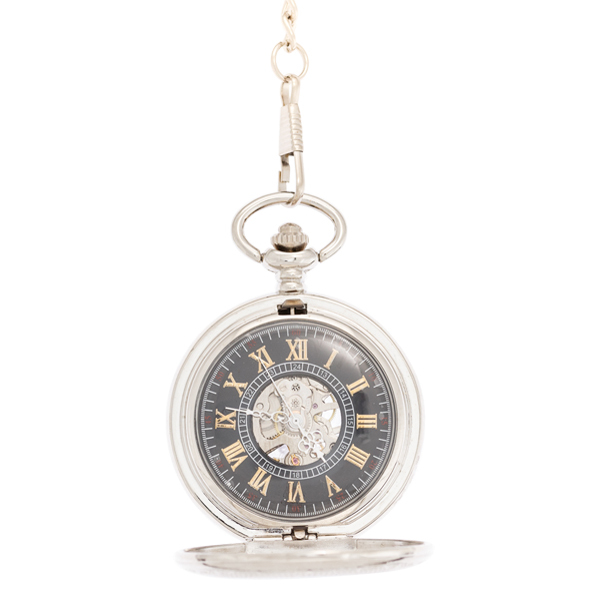 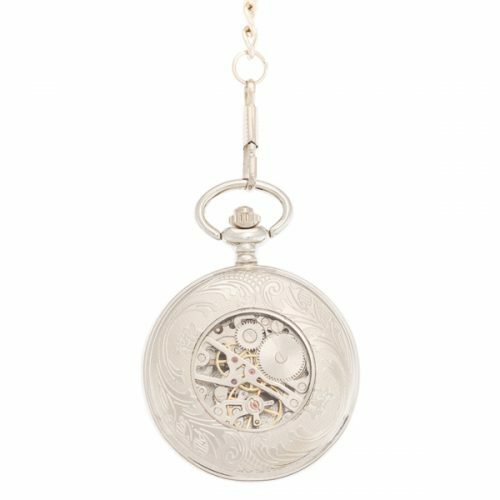 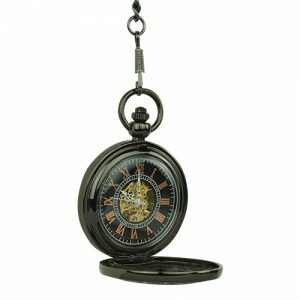 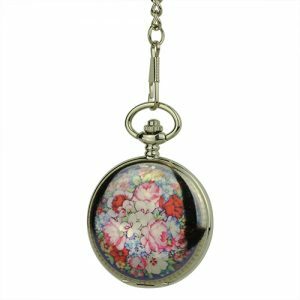 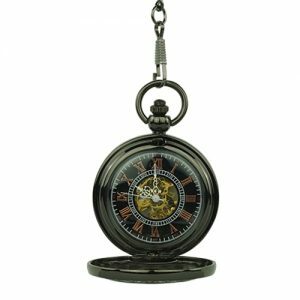 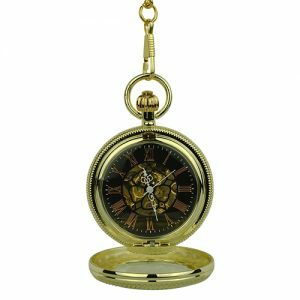 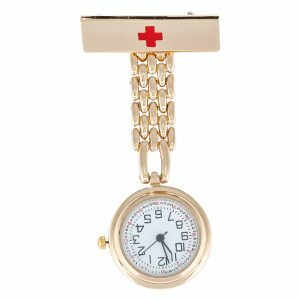 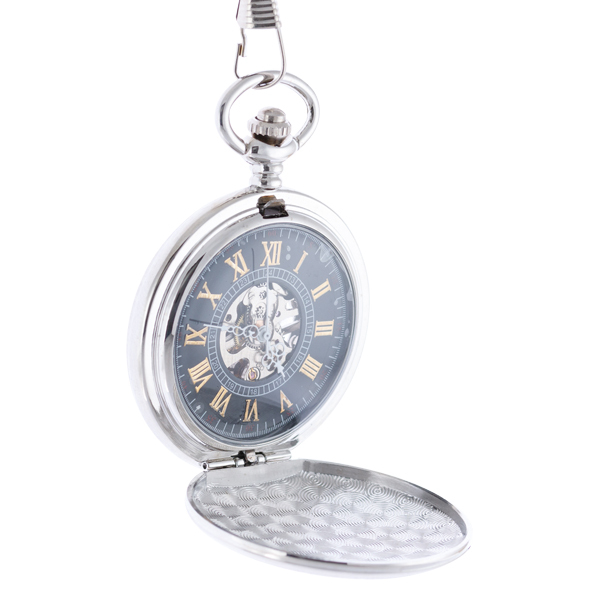 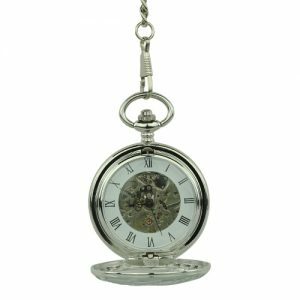 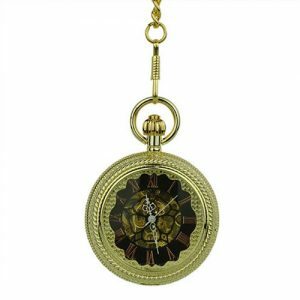 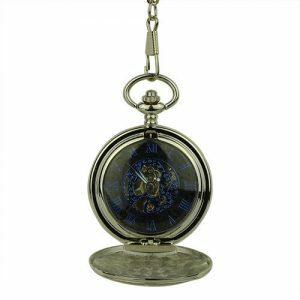 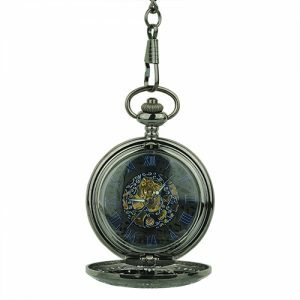 Enjoy a handsome pocket watch with a silver-coloured frame and full hunter cover designed with streak-like vertical markings. 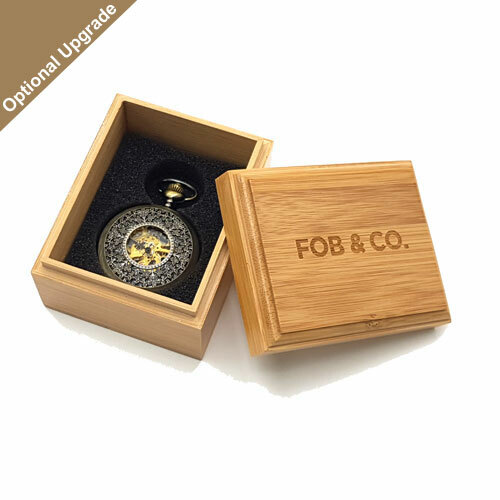 Open the cover to see a dark skeleton watch face, perfect for rugged look.